Now Justin is the director of a group of ten University of Pennsylvania students who will help a Chinese NGO launch a microcredit initiative in a poverty-stricken area in the Daba mountains of Sichuan province. The students, most of them studying at the prestigious Wharton School of Business, are members of a 700-strong Microfinance Club at the University of Pennsylvania. For the past five years the club has mounted an annual microfinance conference that draws students and professionals from all over the U.S. Under the auspices of the club, some students have banded together to form units that have been supporting microcredit in Africa, Latin America and Indonesia as well as China. New groups are poised to work in India and Bangladesh. Penn Microfinance. During the school year, the students are in touch with key microfinance organizations, and in the summers they travel to the countries to gain international experience and to provide the groups with accounting, business and technological expertise. These young people are part of an exciting movement of university students across North America who are using their expertise to help the less advantaged and to promote social entrepreneurship at home and abroad. In Canada, a number of university students, for example, have gone to the Middle East, Asia and Africa to volunteer, thanks to fellowships funded through the Aga Khan Foundation. I met members of the University of Pennsylvania’s Microfinance China Team at the club’s April microfinance conference where I was invited to speak about my book . The topic was Microfinance Plus – meaning the beneficial spin-offs that come about because of microcredit. 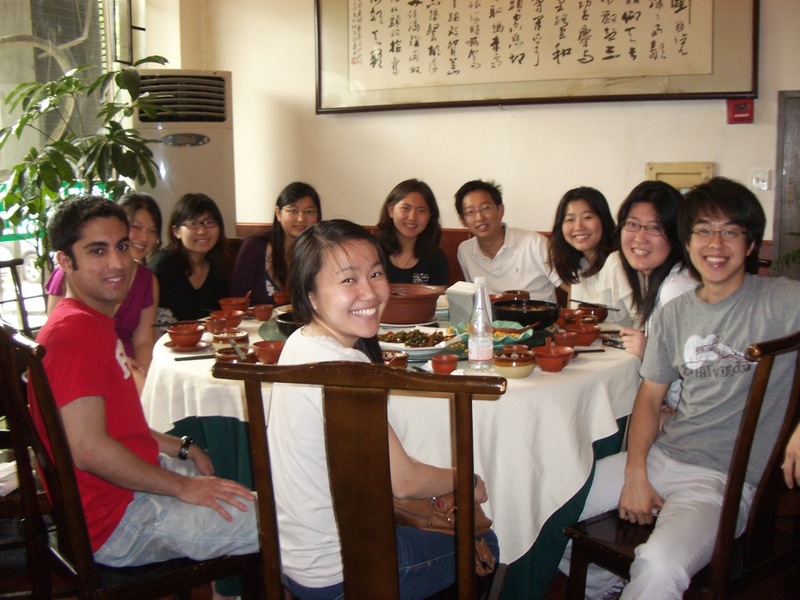 Some of the students in the China initiative are foreign students that have come to the university straight from China, or in the case of Justin, from Singapore, but others are Americans of Chinese heritage. All of them speak Mandarin. The one Canadian, born in Hamilton, Ontario, but of east Indian background, speaks not only English and French but also Gujarati and Mandarin which he has been studying through university courses. In May, as an observer, I accompanied the China Team on a stimulating 11-day visit to the Bazhong City region in the Daba mountains of Tongjiang county in Sichuan. In three key villages, the Daba Mountain Research Society for Ecology and Poverty Reduction has been working on ecological issues, promoting local culture and supporting economic empowerment. The organization’s leader is Haoliang Zhang who used his own money in 2004 to launch the NGO after working for a government-run microcredit program. With financial help from the China Team, he is preparing to start a microfinance project in the region to encourage small businesses and small farmers to expand. The coordinator for the China trip was Amy Liu, an impressive 19-year-old business student born in the U.S. of Chinese parents who made sure she learned Mandarin. To sharpen her understanding of contemporary China, next semester she will be taking business courses in Beijing. Throughout the 2010/2011 academic year the students in the team were in touch with the Daba NGO regarding microfinance best practices. In May in Luojiang, a satellite town of Bazhong City, the students gave employees at the organization tips around accounting and business practices and discussed the question of interest rates. So that we could learn about needs in the targeted Daba area, which is primarily agricultural, Amy also made sure we visited some mountain villages where the NGO will be offering microcredit. In Huaxi, a community leader described how villagers had joined together with help from the Daba NGO to build a reservoir that brings much-needed water to villages. In Zouma village, a farmer who said that many farmers currently grew rice and vegetables just for their families, pointed out that land could be farmed more intensively so that the surplus could be sold at markets beyond the villages. “To do that we’d need more labour on the land,” he said. He lamented that increasing numbers of young farm labourers eager for higher wages have become migrant workers in the cities, now an estimated at 132 million across China. We ourselves witnessed the state of the road when the minivan that brought us from Luojiang to the village got stuck in the mud and we had to get out to push. He added that villagers would have to contribute about 100,000 yuan (about $15,000 U.S.) in order to obtain a matching government amount to repair a road that is only one step up from a muddy cow path. And the small farmers in the area don’t have that kind of money. About 80 households, he said, use the road and could benefit. The students tossed around how they might find loan money to build the road with repayment from profits from the businesses that would benefit, but eventually this idea was abandoned. “We have to promote things that are feasible,” said Justin. 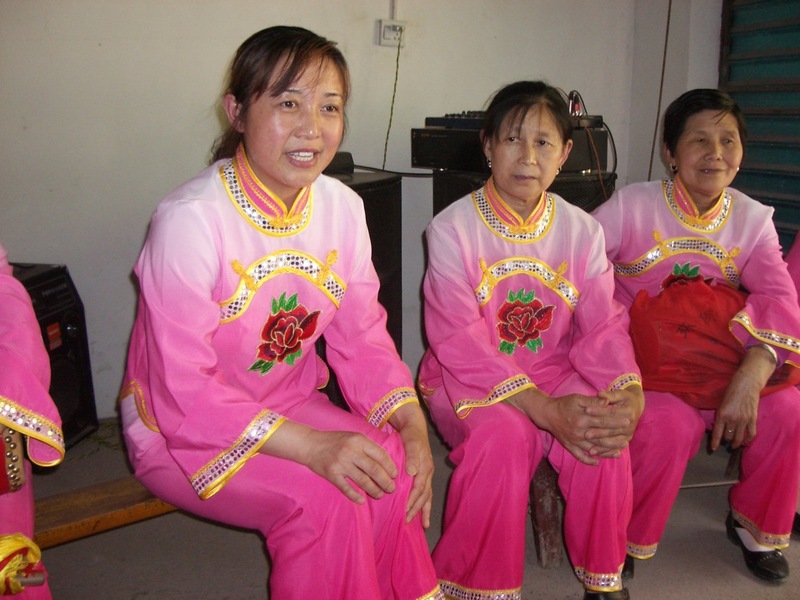 We also heard from a self-help group called Huaxi Women’s Health and Ecology Promotion Group that have formed a drum, song and dance troupe. The group, which performed for us, charges small fees for presentations but cannot charge enough to become a viable commercial business. Articles in a May 19 issue of the official China Daily described how the exodus of people leaving villages to work in city factories have left small children and old people without the extended family network that used to take care of them. A well-known demographer at a university in China estimated that eight million youngsters under the age of 18 out of a total of 74 million “left-behind” children live alone in the countryside. We saw evidence of the needs of youth in the Daba area when we visited two schools that had invited the Pennsylvania students to speak to some grade seven classes on the subject of health awareness and interest rates. I spoke on my experience in India researching and writing about women taking small microcredit loans. In the first school, with 1640 students studying up to grade nine, 600 were boarders because so many of their parents had left the area to work. In another article in the same issue of the China Daily, the director of an institute of gerontology in China said that by 2013 senior citizens will top 200 million and that more nursing homes would be required. The Chinese women also talked about what they could do if they had their own warehouse. “We would fill it with cheap rice and noodles as well as clothing and household goods and sell them,” said one woman who already runs a small variety-goods business. The enthusiasm and focus of these women reminded me of women I met in India from very modest backgrounds who started out by taking very small loans to buy an animal or start a tea-stall. Over time, by creating cooperatives out of their small self-help groups, they were able to start a full-fledged dairy with them as shareholders and an embroidery company selling to high-end India. Mr. Zhang was sensitive to the women’s ideas, but said that a kindergarten and old people’s home would require more money than a start-up microfinance program could offer. “I would like to begin by supporting businesses that are already running, including farmers who want to expand their produce, and then build from there,” he said. Microcredit, which could do a lot to expand business opportunities in rural China, took off after 1993 when Professor Du Xiaoshan, called the father of Chinese microcredit, ran a “research action” experiment using the Grameen model with funding from the Ford foundation and other international sources. Later the government initiated programs, and about ten years ago, rural credit cooperatives and rural banks began offering small loans along with the Postal Savings bank of China. Commercialization has proliferated with the arrival of financial conglomerates that have set up regional branches in rural China. However, NGOs, many supported with money from international sources, have had a good track record. Mr. Zhang would like to eventually operate a microcredit fund of between 200,000 and 500,000 yuan (up to about U.S. $75,000). According to Justin, “the China Team foresees a partnership with the Daba NGO extending over the next five to six years. The goal of the China Team is to make sure the Daba NGO establishes a sustainable microfinance framework. Now, however, the challenge faced by the students is to find that $15,000 seed money. Justin and his group of friends were able to raise even more than that in Singapore. With the resourcefulness I saw during the trip among the members of the China Team who care about China and want to spur development, I am sure Mr. Zhang will not be disappointed.